SAN NARCISO, Calif. (Bennington Vale Evening Transcript) -- Concealed by a canopy of massive eucalyptus trees that line Bennington Vale’s Andover tract is Donkey Dell Park -- a forgettable, squalid, dingy patch of grass that had its sod laid before construction of the first homes began in the late 1960s. While most residents in San Narciso visit the county’s sprawling recreational areas to swim, play tennis, exercise, ride horses or just enjoy a warm day in a beautiful setting, the teens of Bennington Vale seldom stray from Donkeydell Park. Despite its unfortunate name -- the origins of which have remained a source of dispute and mystery for decades -- Donkeydell endures as a nostalgic oasis for neighborhood millennials. The park happens to be the fetid, nasty place where most of them lost their virginity -- and where, according to their parents, they were also conceived. But government officials want to close it down. Local millennials refuse to let that happen without a fight. The entrance to Donkeydell offers little to the untrained eye. The field is a rolling swath of brown and yellow grass, the length of two football fields. Farther back, one may discover the ruins of a wooden fort, an incomplete playground with rusted fixtures, and a concrete pit that had been intended for a pool. The strange and disquieting sign still hangs. Despite repeated attempts to remove, dismantle and vandalize the marquee, it inevitably reappears in its original condition. The wooden placard depicts a hobbled jackass pinned down by a fallen tree; a farmer attempts to help it stand by whipping its haunches while pushing its backside with his pelvis. But Donkeydell has a much richer history than other parks in the country. And like most facets of San Narciso, nothing is what it seems. Mayor Manny DiPresso, however, believes the park is exactly what it seems: a dilapidated, unfinished beacon sordid activities that is taking up valuable land the county could reallocate to more profitable pursuits, such as commercial real estate ventures or landfills. Donkeydell also abuts the orange groves that dominate the property of the infamous Inverarity estate. The park’s proximity to this dense and otherwise inaccessible orchard has made it a haven for rapists. Other prominent members of the community, who agree with DiPresso about Donkeydell being the armpit of the county, doubt the purity of his motives. They worry that DiPresso, under pressure from a growing faction of liberals, has designs to transform the park into a HUD housing zone to profit off the tax incentives. Mike Fallopian, Yoyodyne executive and chairman of the conservative Peter Pinguid Society, lives near Donkeydell and sees no improvements arising from creating a low-income housing area. The adults can argue the merits or dangers of Donkeydell until they turn blue in the face, but Bennington Vale millennials claim the park as an integral aspect of their transition from children to adults. “Apart from my priest, which doesn’t strictly count, Donkeydell Park is where I lost my virginity,” Roger Tresdon, 25, told the Evening Transcript. His girlfriend Treena, 20, described a similar experience, except with her father and not a priest. More importantly, she also had her first legitimate sexual experience at Donkeydell Park. 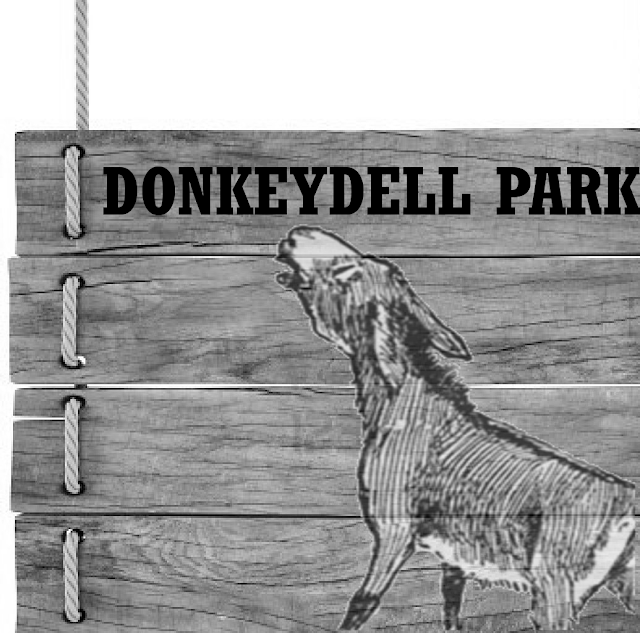 Tresdon and nearly 20 other young adults have organized a protest group to preserve not only Donkeydell Park but its legacy and influential role in helping shape their young lives.